Picture Quality: Quality is key for just about any digital photo – even the impromptu shots people snap with their phones. While customers do want cheap pictures, most won't sacrifice quality for cost, especially if your competitors are offering better images at lower prices. If your current kiosk can't provide great detail, true-to- life colours, well-calibrated contrast and compensation for over- and underexposure, then it may be time to shop. Printing Speed: Retail shoppers rarely have time to wait around, so your kiosk needs to produce lightning-fastprints. 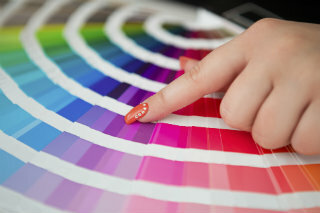 Plus, the more popular your digital printing services become, the longer customers may have to wait in line. Don't make them stand around longer than they have to, or you may lose business to stores with less overall foot traffic than your own. Options Galore: Smart phones and tablets are becoming more advanced in their photo capabilities, offering options comparable to high-end digital cameras. Your kiosk needs to reflect these options by giving customers the ability to crop, colour and otherwise manipulate their photos as they see fit. If all your current kiosk can do is rotate or re-size an image at one aspect ratio, you need to look for a new one! Ease of Use: On the other hand, your kiosk's editing suite shouldn't be so complex that your customers can't figure it out. Less tech-savvy users need to be able to make quick and simple edits, and even more advanced photographers won't want a Photoshop-esque array of options. Overall, intuitive controls are necessary for offering quality and time efficiency. Long-Term Maintenance: In addition to your customers' ease of use, you need to consider the time you and your employees will spend working on the machine. If you're constantly repairing the mechanics, replacing paper or refilling ink, you need to look for a system that's more self-sustained. Large paper caches, sizeable ink wells and sturdy moving parts are crucial, and easy access from the front is a plus. In the long run, you'll easily recoup your costs on a new kiosk with all of that saved time. Environmentally Friendly Features: Conscious consumers prefer to shop at environmentally friendly outlets, but this isn't the only reason to make this change with your kiosk. The less ink, paper, energy and other consumables you use, the lower your overhead will be. If you can achieve the quality you're after with fewer resources, your profits – and your customers' satisfaction – will only improve! Easy transfer and download of photos: The benefit of customers using smart phones and tablets as their means of photography, is that at any given time, users will be carrying this “hard drive” of photos with them; ready for easy access and printing. Providing your customers with access to connecting USB cables can be messy and an expensive exercise as you will have to accommodate a wide range of different brand connectors.Moving with the digital trends, utilising and offering your customers wireless transfer of photos to kiosks through the TransPix app provides a quick and easy means for your customer to quickly and easily access their photos in your store for printing. Are you ready to update your photo printing kiosk? Contact a Fujifilm retail innovation representative today.